Succumb to Stress? Or Persevere? How I went from Overwhelm to Gratitude. Succumb to stress, or persevere? Those are the choices I have been facing. And if I were to be honest, I’d have to say that last week, stress had me beat. I was depressed, overwhelmed and unmotivated. I felt like there was such a weight on me that every little effort felt gargantuan. Maybe I can admit these things more readily than most people, but only because I had eleven years in practice of being on the listening end of all of the challenges people face. And trust me, EVERYBODY has their own sh**. I have seen first hand that most people experience episodes of anxiety, depression and overwhelm. Truth be told, I am no different. Keeping my mental state in a healthy place has been a full-time job this past, crazy year. And because I usually consider myself to be a very positive, resourceful and productive person, the contrast when I feel overwhelmed is staggering. It makes me desperately seek that good-feeling place again. 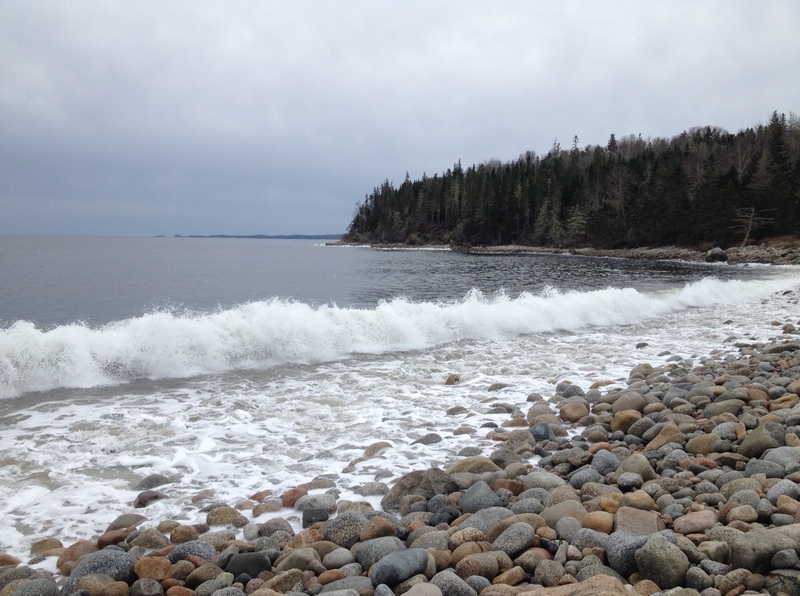 In the four months since we moved to Nova Scotia, we have faced ongoing challenges that are out of our control and that directly affect my ability to open my new practice. These road blocks have been drawing out for so many months that it feels like it may never end. Being take-charge kind of people, it has left us feeling helpless at times to know that our lives are in hands other than our own. Last week, try as I might, I lost the battle to stress more often than not. This week, however, I feel stronger. Succumb to stress? I can’t. I’ve got too much I want to do. After more frustrations last night and another night of poor sleep, I woke up determined to have a good day. Filling up my inner reserve of Amy-strength was my first and only priority. And as life has it, I was sent many signs of all of the things that are good, proof of the supports I have around me, and many un-asked for voices to help quell my doubts. When I look at my morning, I see many signs of a universe full of everything I need and want. As a matter of fact, this whole morning felt like it was designed to fill me up with feelings of contentment, gratitude or grounding. My only job was to go with the flow. The ‘signs’ began with Ethan and Audra waking early, getting ready without any prompting, getting along wonderfully, and exuding happiness. As Ethan and Audra ran for the bus yelling “Love ya Mom!” and “Have a great day!”, my weekly call with friends and colleagues Dr. Karen and Dr. Andrea began. It was a great combination of hearing exciting things going on in their lives/practices, as well as a great avenue to vent for ten minutes. Exactly what I needed. With my call ending at 8:50, I made a last minute decision to head to Crossfit Exertion for a workout (mostly because my workout there yesterday was so much fun that it was the best part of my day – as well as a blissful hour’s break from mental expenditure) I learned some new movements, and overall, I felt strong – again, exactly what I needed. Not sure of my plans, I stopped to call my mom and dad, wondering if dad was close by at the cottage they are building in the area. After some great conversation with both of my parents, I felt further supported, and even more ‘vented’. I decided in that moment to turn the truck around, turned up the tunes to some loud, heart-pumpin’ music and drove, taking in the sweeping views of the ocean. While my heart soared a little higher, I felt a deep sense of peace settle into my being. I ended my journey at Queensland Beach, where waves were crashing on the shore, thundering in my ears, and the fresh sea air filled my lungs. With deep breaths, I let it fill me up. All of that power. All of that strength. All of that awe-inspiring beauty. That’s what I couldn’t feel last week when life had me beat. Today, I let myself feel it.